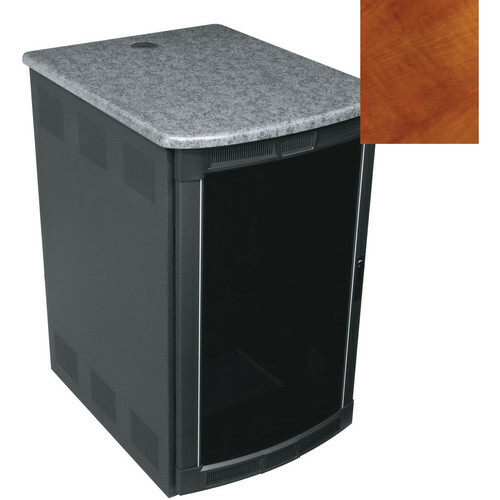 The BGR-25SA32MDK Presentation Enclosure System from Middle Atlantic features an attractive thermolaminate top with a aged cherry finish that can accommodate video monitors. The BGR series enclosure system comes complete with a skirted wheelbase, leveling feet, curved plexi front door, cable entry rear door, and front and rear rackrail. It features the patent-pending LeverLock system. Box Dimensions (LxWxH) 56.0 x 36.0 x 26.0"